Depth and texture bring the past to life. 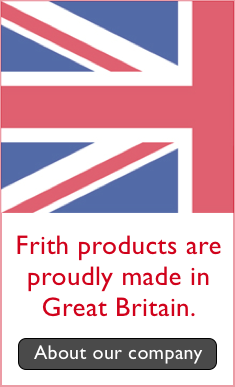 Create an impact with a Canvas Print of a Frith photo or map hand-made to your order. 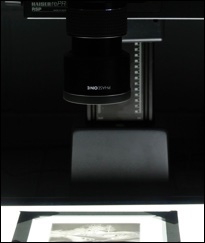 We use archival quality canvas, stretched over a solid-wood under-frame. Choose from five generous sizes, with or without a wood frame. Delivered ready to hang. Your chosen photo or map is printed on archival quality canvas. 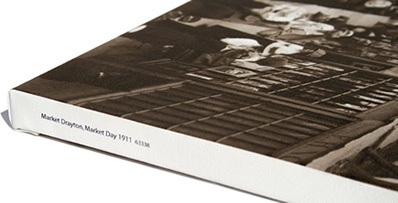 The photo or map title is discretely printed along the side edge of the wrapped canvas. The canvas edges are then wrapped and sealed and fitted with hanging hooks. 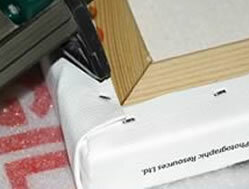 Your Canvas Print is then carefully packed so that it reaches you in perfect condition. approx. 16" x 10" approx. approx. 24" x 16" approx. approx. 36" x 22" approx. approx. 48" x 30" approx. approx. 60" x 38" approx. Canvases are titled along one edge. Handmade in our Wiltshire workshop. 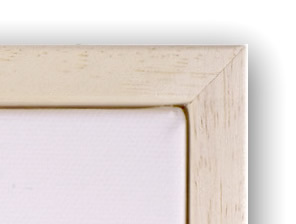 The addition of a contrasting frame around your Canvas, will elevate your print. 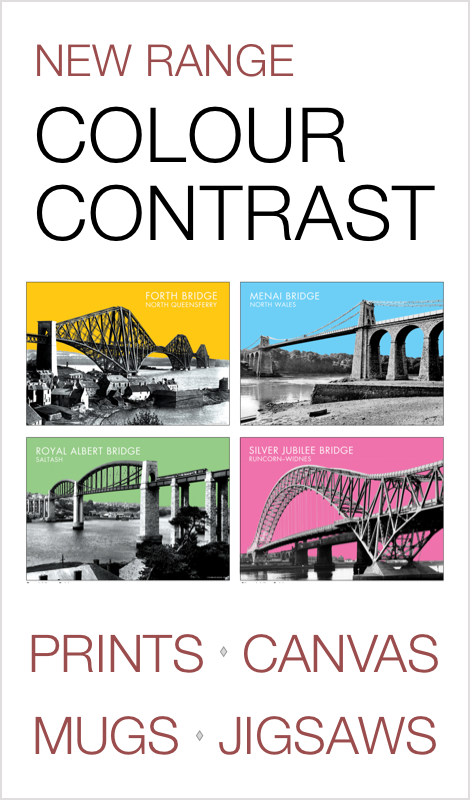 We currently offer Framed Canvas Prints with either a Classic Black, or an Oak frame in the sizes below. Our Framed Canvas prints are ideal in “no-glazing” settings - areas that are subject to condensation perhaps, or where glass is to be avoided for safety reasons. A Framed Canvas Photo Print. Frames are handmade to order. Deep frames give a luxurious feel.